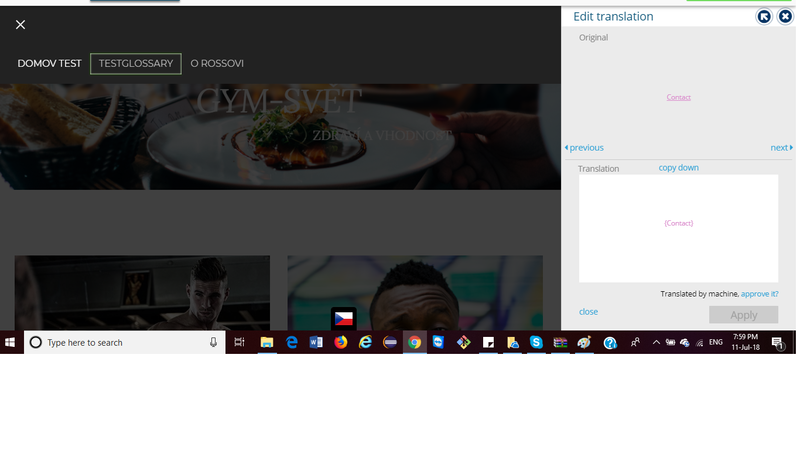 While translating a site, more often than not there are uncommon words like brands or marketing keywords that ought not be translated, or ought to be in an special way which is obscure to the translator. The glossary enables the site owner to differentiate those words. 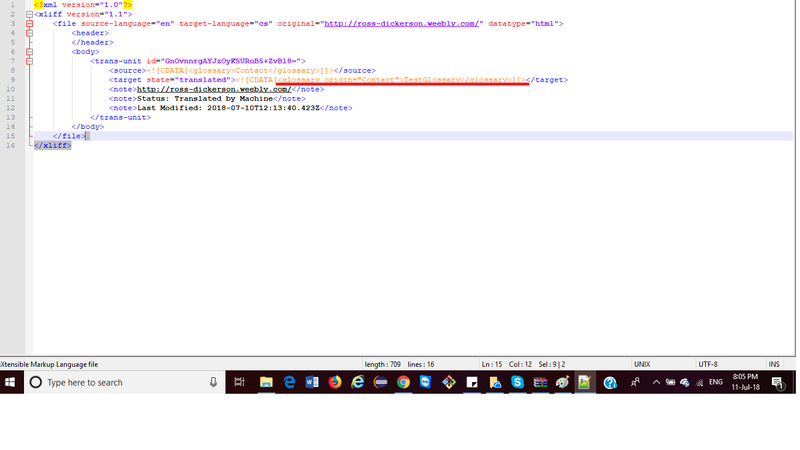 Keywords in your source language can be included inside Glossary with separate translation or no translation to be given in Target language added through Bablic. 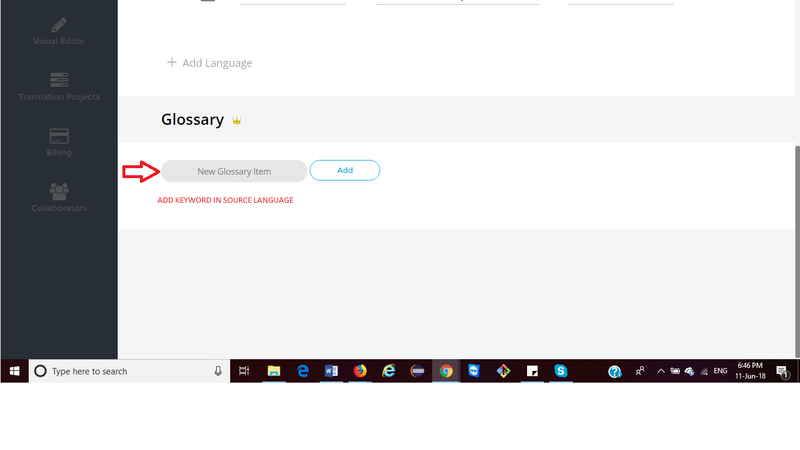 a) Add New Item: Opens a text box marked 'New Glossary Item' to add a word in the source language. When added, a text box for each target language will be shown . Leaving it empty means the word will show on website in its original form. b) Case Sensitive: Keyword will be treated differently if in upper case or lower case. c) Save Changes: Applies the Glossary translation across the site. If the content was previously translated by machine translation, all elements containing Glossary words will need to be translated again. A confirmation popup will appear. Once you confirm, Bablic will perform the machine translation of those elements. a) Visual Editor : Text from Glossary will show as highlighted inside the Edit Translation Box. b) Text Editor : Glossary words are now in parenthesis and highlighted. These words are manually editable. 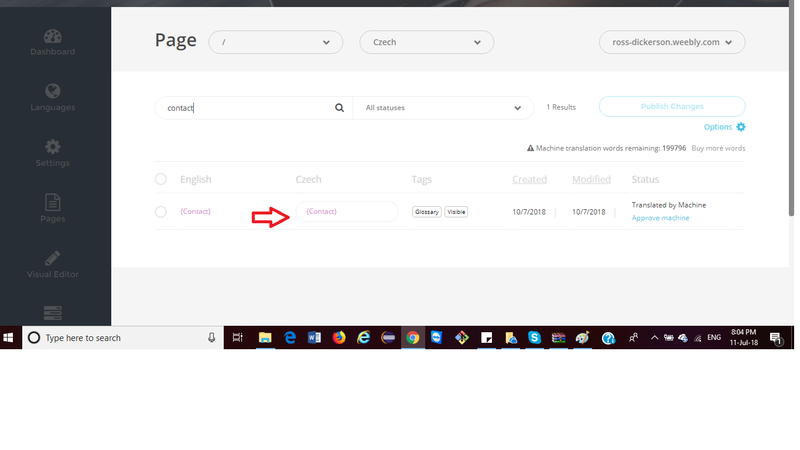 c) Export : Export will include <glossary> tags on each content which includes the glossary word. Glossary tags should still be in the document when importing. 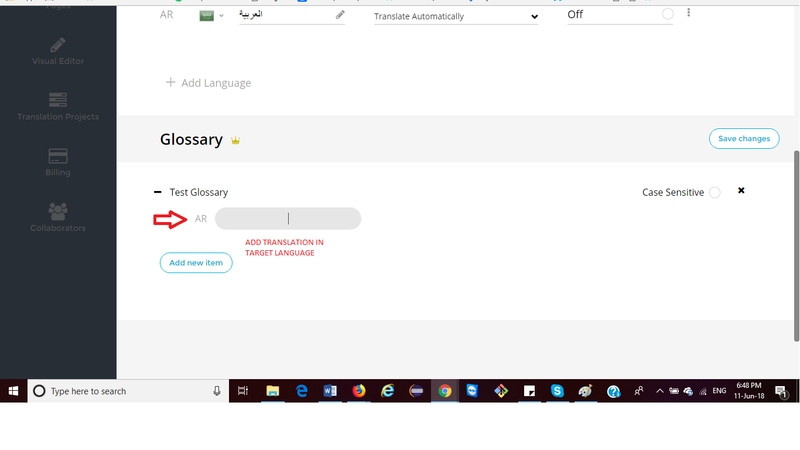 d) Live Website - All occurrences of the glossary words on the live website will show the keyword translation based on the Glossary (unless overridden in Text Editor/Visual Editor).